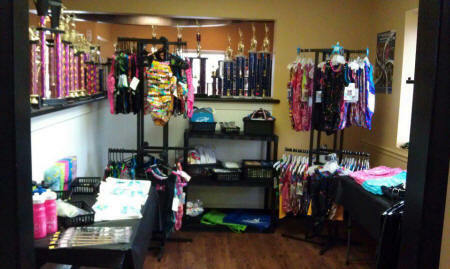 We have a fully stocked pro shop, complete with leotards, shorts, grips, tape, and FlipStar apparel! Stop by our Rec Campus (1906 Ferro Drive) for all of your tumbling and gymnastics needs! Have a suggestion for new items? Stop by our front desk and let us know! We can do custom orders by request.